The city of Town of Pelzer contracts with an outside waste management company for solid waste collection and recycling. 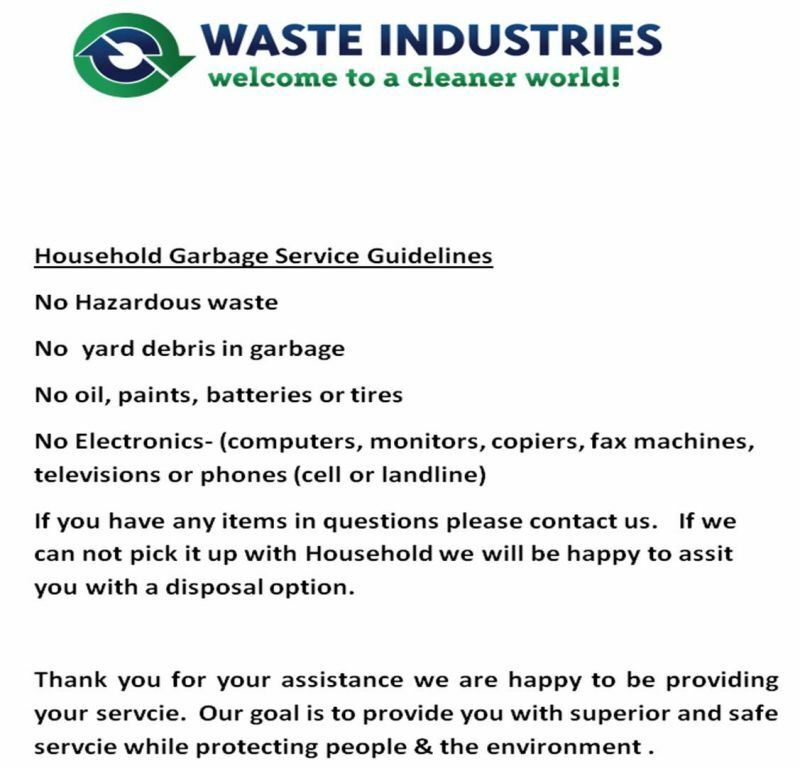 Everyone within the city limits is required to have garbage collection and all residential customers within the city limits are required to have recycling collection. Most trash and debris, when properly bundled and/or contained properly, can be disposed of at curbside with your regular garbage service days. If assistance is needed or you have questions for the city, please do not hesitate to contact us. If your trash recepicle is broken, please contact the Town Office, and we can request a replacement be brought out to you.